Your team looks to you for a clear path to success. 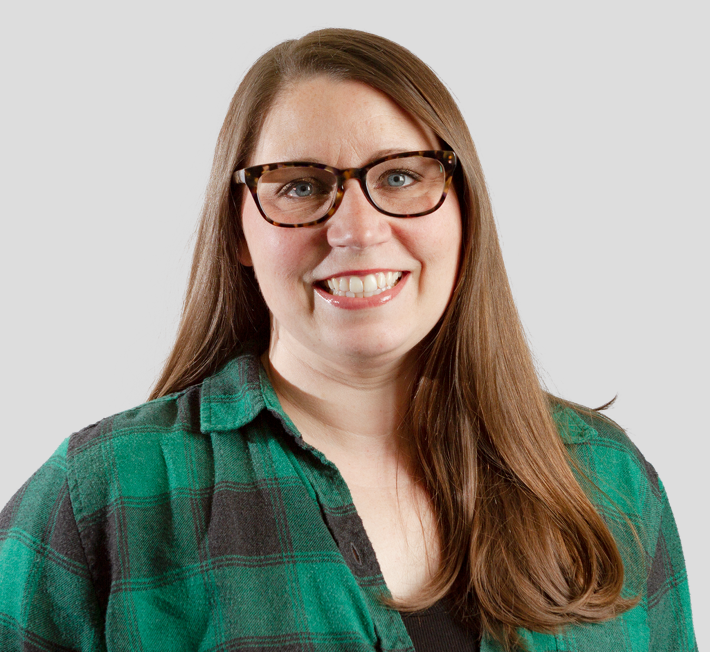 If your project plan’s a jumbled mess with no real rhyme or reason, that can create confusion, waste time, and leave your stakeholders less-than-impressed. That’s why creating a neat and tidy project plan is so important. Arranging your project by phases of work is a simple and straightforward way to tackle project organization. And there are lots of ways you can go about it. For instance, here’s an example of how you might apply an agile approach to your project plan by organizing your tasks into sprints. 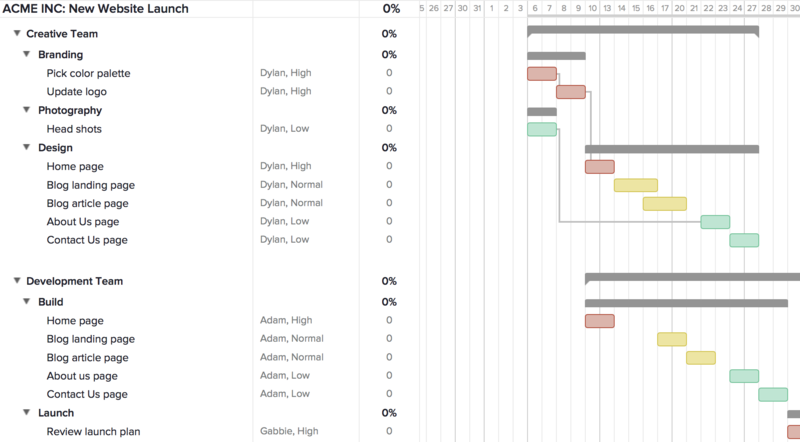 In TeamGantt, you can use subgroups to break work down into phases. This makes your gantt chart super-scannable and enables you to collapse completed phases for a cleaner look. Feel free to get as granular as you want! Here, we used nested task groups to organize tasks by the team responsible, breaking each team’s tasks down further into categories of work. You can also tag tasks to communicate high-level task ownership. This can be especially helpful if you work as an agency project manager who oversees client projects. In this example project, the tags at the beginning of each task name clearly indicate who’s responsible—the Gantt Museum (GM) vs. the project team (PT). Do you have an ongoing project with regular deliverables? Consider structuring your work into a calendar format by organizing task groups by month and date. 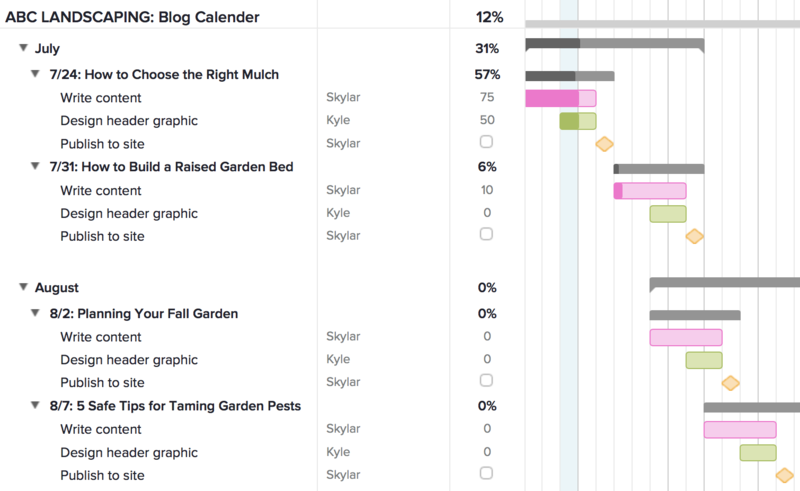 This approach can be especially useful for creating a social media marketing plan or content calendar for your blog, like the example below. If each task group in your project repeats the same set of tasks, speed up project setup by duplicating task groups and simply renaming and rescheduling the new task group. Want to make it easy for your team to prioritize their work without having to ask you for help? Color-code taskbars to let your team know at a glance which tasks matter most. That saves time and allows everyone to keep their eye on the project prize. There may be times you want to pull a list of high-priority tasks. In TeamGantt, that’s quick and easy to do. Simply assign priorities to tasks as resources so they’ll show up as options under your People filter. With TeamGantt, project organization’s a snap! And you can rest assured your project plan is always dressed to impress. See why thousands of customers in over 120 countries use TeamGantt to make their projects shine. 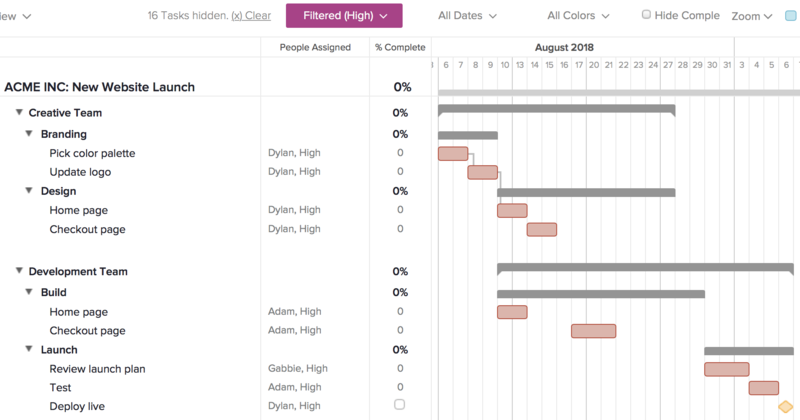 Try TeamGantt for free today!